Friday food is a weekly article about one of the more unusual food items to be found in Liuzhou that week. This week, we are getting things are getting hot. 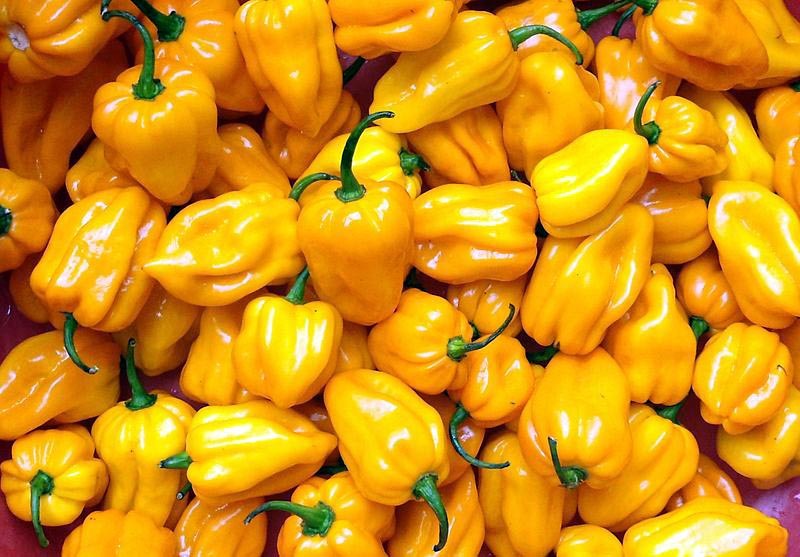 Yellow Lantern Chillies. Until a few weeks ago, until I changed it, Wikipedia claimed that these chilli peppers only grow in Hainan. This came as a huge surprise to the Zhuang people of Wuming County in Guangxi who have been cultivating them for quite some time. It is true that most are grown in Hainan, but certainly not all. I’ve seen them in Guangxi with my own weak eyes. They also grow in Yunnan. 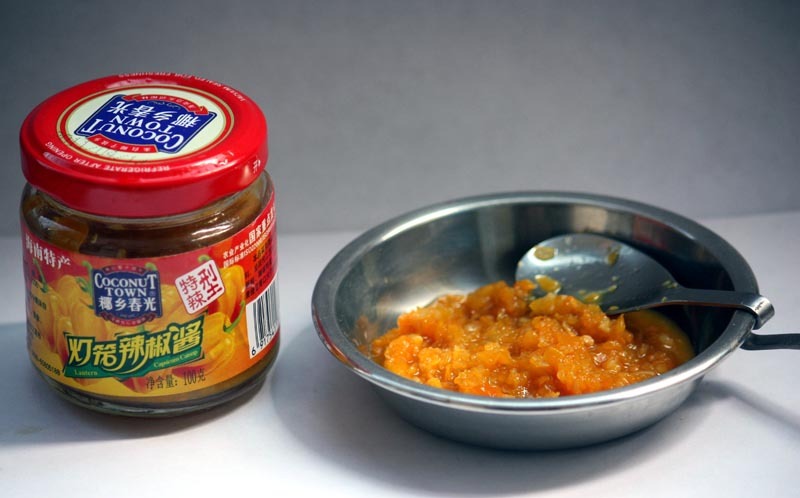 Known in Chinese as 灯笼椒, these small babies (approx 5cm long) are mainly used to make commercial bottled sauces such as the one pictured below, which does indeed come from Hainan. The sauce has a citrus tinge to the flavour and is at the top end of the hot scale. It is used as a dip or a garnish as you would any other hot sauce. This sauce is available in most, if not all, supermarkets. Here in Guangxi, the Zhuang people pickle the peppers whole (with garlic). They turn almost black and have a powerful vinegar taste and are very hot. I’ve never seen these in Liuzhou shops or markets. The jar I have was a home made gift from a dear Zhuang friend.
. This entry was posted on Friday, August 16th, 2013 at 7:00 am	and is filed under Food and Drink, Friday Food. You can follow any responses to this entry through the RSS 2.0 feed. Both comments and pings are currently closed. I love these Zhuang Style Pickled Lantern Chillis!!!!! I have a big bottle of them which Jo gave to me! They are great!